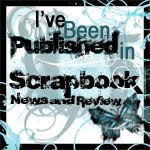 Welcome to the May Arts Halloween Blog Hop! 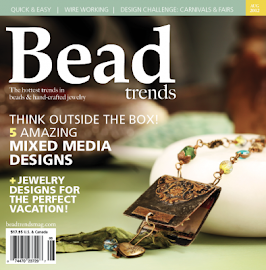 You should have arrived here from the talented Candy Rosenberg's blog. I've had a ball creating this wreath. Hope you enjoy it. I started with a plain grapevine wreath that I picked up for $3 at my local craft store. I added a few fun embellishments like this dapper sparkly crow. 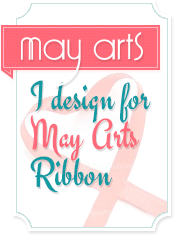 Then the fun began with all that wonderful May Arts Ribbon! I ended up turning him around so his pretty sparkly chest was more prominent. You can click on any photo for a closer look at these amazing ribbons! and poked them securely into the wreath, then added some sparkly orange pumpkins. Here's the Hop List for the week. Prepare to be beautifully spooked! Next up today is the uber cool Christina Colon. 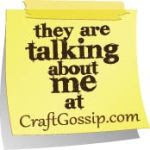 Thanks for joining us on the May Arts Halloween Blog Hop! I hope I've inspired you today. 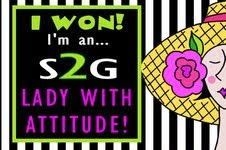 You should have arrived here from Candy Rosenberg's blog. I love all the colors of ribbon and wonderful texture!! Gorgeous. This would be so pretty to make for every holiday. Thank you for sharing. Wow Charlene, what a creation. You went crazy with the ribbons and your sparkly crow is too cute! Lovely. The colors and texture are awesome! Perfect colors for a Halloween wreath! Amazing wreath - love the ribbons and the sparkle. The big wreath is so bright and colorful. Love the orange. The smaller wreath would fit my door better. Great job on both. I just love the ribbon combination on your wreath!! Fantastic! Excellent ribbon choices! Very festive wreath! So pretty. I love the crow you used on the wreath, so scary yet merry too. I love the white ribbon, it looks like cheesecloth. Thanks for sharing a great idea with us. What a gorgeous Halloween wreath! I'm glad you turned the raven around, he looks marvelous amidst all that gorgeous ribbon! I love the colors in this wreath! Thanks for the inspiration. WOW - what a beautiful wreath - LOVE your delicious ribbon choices!!! It is fun to see how your wreath started and how the crow was eventually surrounded with so much loveliness - thank you for the top tip with the wired picks too!!! Wow what a transformation! I love the richness of these oranges and blacks. Such gorgeous ribbons. wow. Your Wreath is Beautiful!!!! All those ribbons are wonderful. This looks like loads of fun to make! Very cool! I love your wreath! Thanks for sharing the tips on how you made it, fabulous ribbon and those sparkly pumpkins are the perfect touch. This wreath is absolutely stunning. Love all the gorgeous ribbon and the raven is fantastic too. Yes, I do think my jaw just dropped to the floor. These projects are amazing, Charlene! I really like how the white adds such a cool contrast to the typical orange and black. Oh my goodness ... All of the beautiful ribbon . This is so amazing ! TFS .